Ed. Note: The first essential step toward selling timber or timberland is an inventory. It is a necessary step which enables the seller to set a realistic price on both the wood and the land. The inventory and methods used to determine volumes are also used between sales to make silvicultural and management decisions. Here is the equipment you need, the cruising procedure and how to calculate the cruise. This report is based on an article written by Ron Wenrich. Ron is a sawmill consultant and has extensive knowledge on how to inventory your forest using the point sampling method. It is written in three parts, this being the first part, and all links included were chosen by the editor. 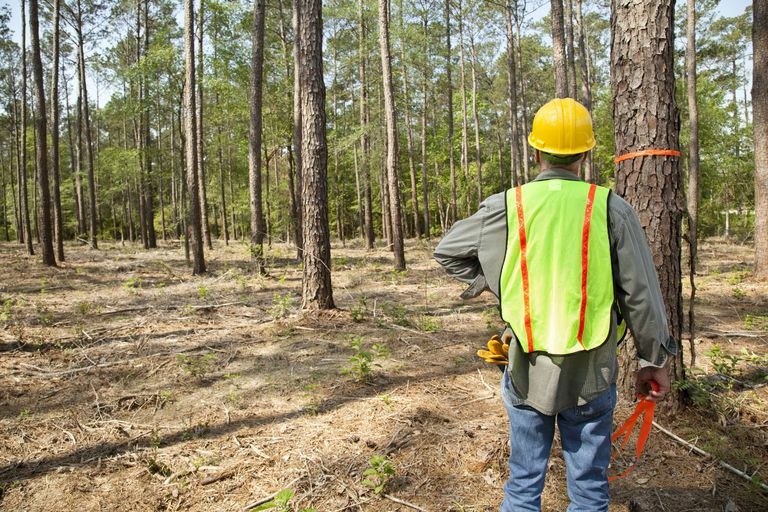 You could measure every tree and do a 100 percent appraisal, but this is very time consuming and costly to do on large forests. But another way is to use a sampling system. A proven system, called "point sampling," is used regularly by foresters and can be used by timber owners as well. We will discuss point sampling and the equipment you need here. 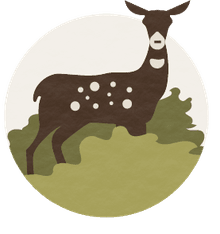 Point sampling is a method of determining the frequency of occurrence of trees throughout the stand using a fixed point. These points can either be random or systematic. What you will be measuring is the basal area of the trees occurring at that point or "plot" center. Basal area is the area of the cross-section of tree stems near their base, generally at breast height, and including bark measured over 1 ac. or ha. of land. This basal area (BA) is then used to calculate the volume of a tree. Basal area increases as stand size and site quality increases. Some sort of gauge is needed to determine which trees are counted and which trees are not. An angle gauge - either prism (the prism is a wedge-shaped piece of glass that will deflect the image when viewed), string, or stick gauge can be used. Several types of angle gauges can be purchased from any forestry supply company. A stick gauge can be constructed by putting a target on the end of a stick and by keeping a 1:33 ratio. A 1-inch site would be put on the end of a 33-inch stick. You then "eyeball" each target tree with this gauge to find out if it should be included in the sample (more on this in a minute). It has been suggested that a dime can be used as an angle gauge. As long as a 1:33 ratio is maintained, anything can be used. For a dime, the distance held from your eye would be about 23 inches. A quarter would be held 33 inches away. An alternative to buying an angle gauge would be to build one. Take a 1-inch piece of sturdy material - plastic, metal, etc.- and drill a small hole to attach a string. Kite string will work well, knotting the string at 33 inches from the gauge and attaching it to the sighting device. Now, when using, simply put the knot between the teeth and sight your gauge with the string completely stretched. An alternative is to put a 1-inch notch in the material which creates a kind of sight. Before taking to the woods with one of these, you'll need to know how to use one. Trees are counted at a point. This point can be random when just checking stocking at a certain point, or they can be located on a grid to get data for volume or other factors. Trees will either be counted or not counted. Counted trees will appear larger than the gauge. Trees appearing smaller than the gauge are not counted. Some trees will be borderline, and distance should be measured from the plot center if accuracy is desired. For most purposes, counting every other tree will yield effective results. It is also necessary to keep the gauge parallel to the tree. If a tree is leaning towards or away from the plot, the gauge should be moved accordingly. A prism (most foresters use this type gauge) will deflect the image of the tree that is being observed. Trees that are deflected off the main bole are not counted, while those that fall within the main bole are counted. The difference between the prism and the other angle gauges is that the user keeps the prism as the plot center while other gauges use the eye as the plot center. Prism angle gauges come in a number of sizes, known as factors or Basal Area Factors (BAF). For most purposes, a BAF of 10 is used. At your point you simply make a circle counting the trees that fall into your plot. Multiply by 10 and you have the basal area per acre at your plot. You will also notice that larger trees that are further away will be counted, while smaller trees will not. When computing number of trees, larger counted trees represent fewer trees than smaller counted trees.